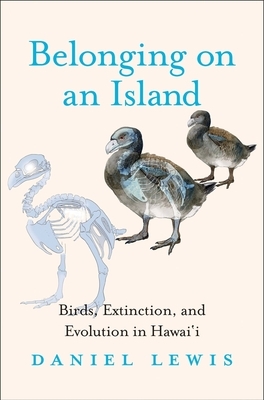 This natural history takes readers on a thousand-year journey as it explores the Hawaiian Islands’ beautiful birds and a variety of topics including extinction, evolution, survival, conservationists and their work, and, most significantly, the concept of belonging. Author Daniel Lewis, an award-winning historian and globe-traveling amateur birder, builds this lively text around the stories of four species—the Stumbling Moa-Nalo, the Kaua‘I ‘O‘o, the Palila, and the Japanese White-Eye. Lewis offers innovative ways to think about what it means to be native and proposes new definitions that apply to people as well as to birds. Being native, he argues, is a relative state influenced by factors including the passage of time, charisma, scarcity, utility to others, short-term evolutionary processes, and changing relationships with other organisms. This book also describes how bird conservation started in Hawai‘i, and the naturalists and environmentalists who did extraordinary work. Daniel Lewis is Dibner Senior Curator for the History of Science and Technology, Huntington Library, San Marino, California. He is also a lecturer in environmental history at the California Institute of Technology, and an associate research professor at Claremont Graduate University.